One way to start getting back on the road to recovery is to get the local locksmith in to make sure your home is secure again. This is where Goldilocks in Cardigan and Teifi Valley can help. Being a victim of burglary is a frightening experience and the emotional impact is often as significant as the financial cost. Your whole sense of security is damaged because home is a private space, where only those invited may enter. A positive step you can take towards regaining that sense of security is to get a good locksmith in to check your doors and windows and change the locks, if necessary. The local experts are Goldilocks, and they work all over West Wales. Of course, it is normal to feel upset after your house has been broken into and the fact that there is often no direct recourse is an additional concern. There is a sense in which the security once enjoyed is now compromised and it is common to feel distressed and unsafe. Taking control of at least one aspect of your security is the first step to recovery – and that is getting in the locksmith. Barrie Rees, owner of Goldilocks, which is based just outside New Quay, is a Master Locksmith, a member of a leading trade association and a security consultant. He can help you to feel safe in your home again. He has more than 37 years' experience and is fully qualified and insured. You can be sure that all locks and security provided by Goldilocks will be of the best standard. Barrie provides a mobile service right across Cardigan & Teifi Valley. He is on the approved list of suppliers of goods and services to the Police Authority. And he’s CRB checked. Whether you have been burgled and want to take the first steps towards feeling secure again, or you are locked out of your house or car, Goldilocks is the company to call. For a quick and friendly service, repair and fitting of all kinds of locks on all kinds of properties. 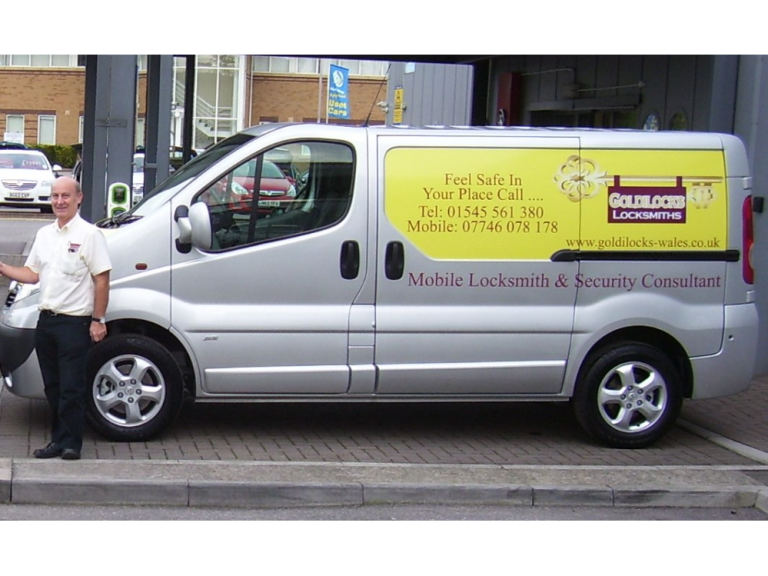 To see the businesses in our Locksmiths section, please click here.